Blood pressure is the force of blood against your artery walls, and it often fluctuates throughout the day. 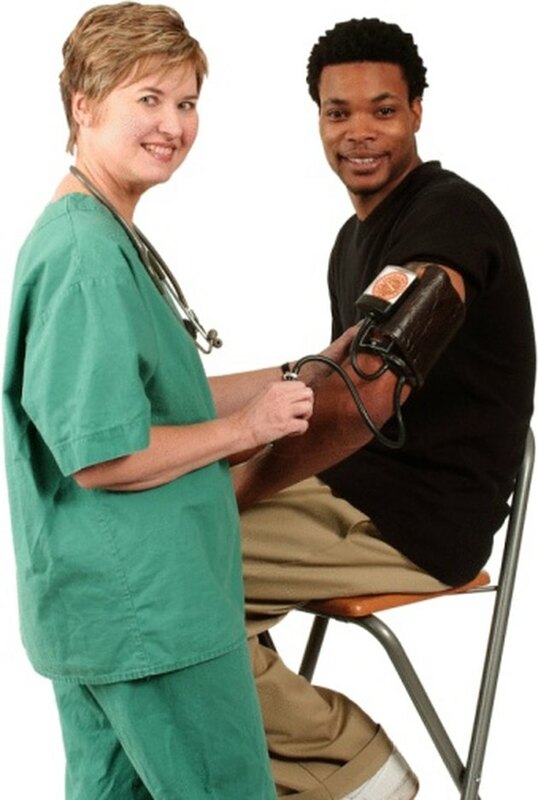 When blood pressure remains high for a sustained period of time, it is called high blood pressure or hypertension. Hypertension forces the heart to work hard, increasing your risk of stroke and heart disease. The American Heart Association recommends a blood pressure of 120/80 for adults, so you must know what vitamins and herbal supplements can cause hypertension. The herb ephedra, also called ma-huang, is a popular supplement in India and China. Ephedra is commonly taken in small doses for bronchitis, asthma and coughs. Ephedrine and pseudoephedrine are the active ingredients in ephedra and act as central nervous system stimulators. At one time, ephedra was used in weight loss supplements in the United States, but the Food and Drug Administration banned ephedra-containing supplements in 2004 due to dangerous increases in heart rate and blood pressure. In addition, ephedra interferes with some cardiac medicines that lower heart rate and blood pressure in people with cardiac conditions. Ginseng has been used for centuries in Chinese, Asian and Russian cultures. The name ginseng refers to American, Asian or Korean ginseng, which belong to the same herbal species once used by Native Americans to treat fevers, headaches and infertility. Teas, powders and extracts are made from the shrub's roots for medicinal purposes. Although ginseng may be safe for some individuals, people with high blood pressure and heart arrhythmias should not take the supplement, because ginseng increases your risk for these conditions. Ginseng can also counteract the effects of some blood pressure medications, raising your heart rate and blood pressure to dangerous levels. As always, check with your physician before taking any new supplement. Licorice is used to flavor foods, beverages and tobacco products. The root of the licorice plant is typically used for medicinal purposes and has been used for digestive disorders, respiratory conditions and chronic fatigue syndrome. Although licorice root may be beneficial for some conditions, it can raise your blood pressure by increasing the amount of fluid in the blood vessels. Licorice root can also increase your risk for irregular heartbeat and may cause low levels of potassium in the blood. Licorice can interfere with blood pressure levels before and during surgery, so you should discuss licorice root supplements with your physician before scheduling any surgical procedures. Vitamin K helps to synthesize the proteins needed to help blood clot. Vitamin K does not cause high blood pressure but can interfere with factors that regulate blood pressure due to changes in blood cell clotting. Vitamin E is another vitamin that can affect blood pressure levels. According to the Drug Safety Site, vitamin E can elevate blood pressure to dangerous levels, especially when first taking the supplement. In addition, vitamin E can increase your risk of bleeding and should not be combined with other blood thinners. As always, speak to your physician before taking any over-the-counter supplements, especially if you have high blood pressure.